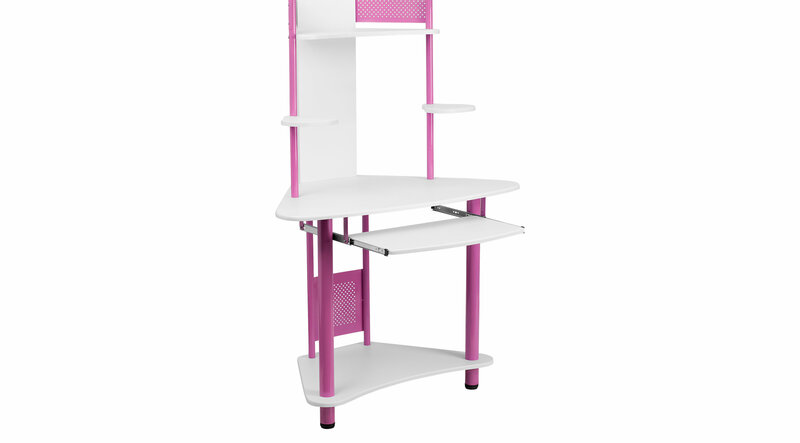 The Oren pink desk is a computer workstation that provides a convenient workspace with a splash of color and will appeal to kids and adults. This desk with top, bottom, and side shelves allows a place to put your monitor or laptop, keyboard, CPU, printer, and speakers. The pull-out keyboard platform can store your keyboard away when no longer needed. This desk provides a great option for studying or for casual computer usage. The corner workstation design allows you to save floor space.